Looking to see a sea monster at arm’s length? 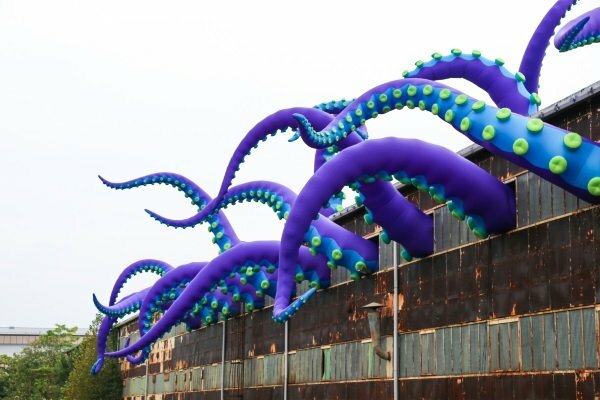 Check out Sea Monsters HERE (#NavyYardSeaMonster), on view daily and nightly from Monday, October 8th through Friday, November 16th, 2018, at Building 611 in the Philadelphia Navy Yard at the intersection of 13th Street and Flagship Avenue. The Yard is open to the public free of charge and accessibility is via automobile, bicycle, bikeshare, walking, or Navy Yard Transit. 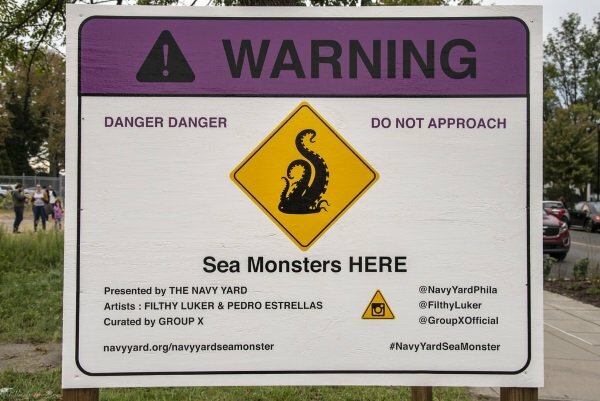 All images in this article have been graciously made available by The Navy Yard and Flickr member R’lyeh Imaging under a Creative Commons international license.